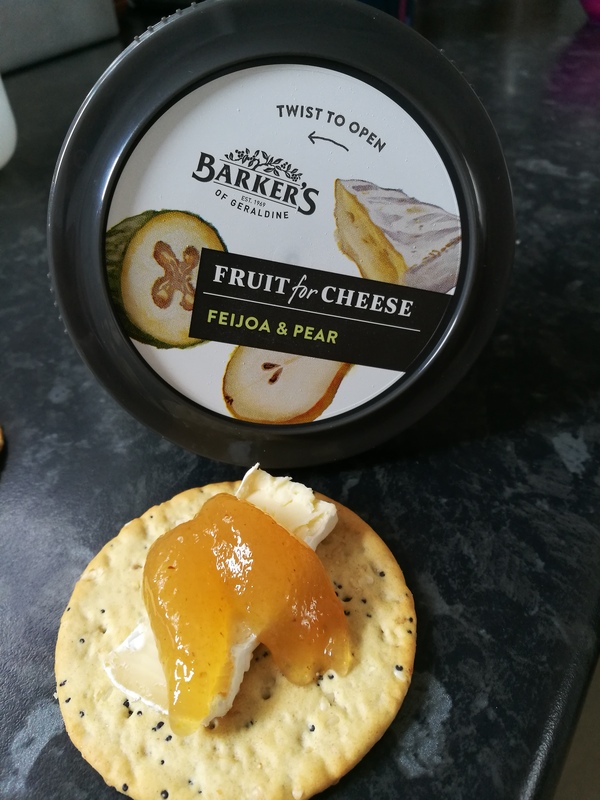 When I saw these barkers fruit for cheese I was in two minds for this I love fejoia and pear but for cheese seemed strange but I&apos;ll give most things a go so went for it. The tub is lovely looking and we&apos;ll you twist the lid not pull and get annoyed like I did I was too excited I didn&apos;t see the twist arrows on the top with the word twist so many hints not taken. Once opened you could smell the fejoia even my 9 year old sad man that fejoia smells good he didn&apos;t actually know beforehand what it was. We cut up some normal edam cheese and gave it a try. We liked it and kept eating more the kids then asked for a small container of their own with cheese and off they went. I was really surprised how good it was with cheese and it didn&apos;t seem out of place, the fejoia in our opinion was more there than the pear but that worked for us. We tried it with carrot sticks and again was good even with apple slices. 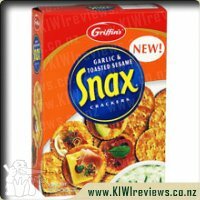 This is Def a lovely addition to a platter or school lunches everyone in our houses liked this and then afterwards we thought about it on crackers with cheese and salami which I&apos;m sure would be great too. Overall this would be brought again for platters, dinner parties and just because we want dome thing different? I am a huge cheese fan, so seeing these Fruit for Cheese pottles come up for review, I requested them. I am also a HUGE feijoa fan, so was delighted to receive this one. 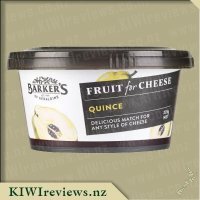 I was very pleased to note that in true Barker&apos;s style this is a NZ Made, not too many additives product that I have come to expect from Barker&apos;s.
Taking a look at the pot - it is a a lovely looking pot, with nice artwork on it, meaning for something like friends over, or a birthday party you do not need to put it into something else - it looks nice as it is. I like the "locking" lid that you turn to close rather than simply push on - it seems much more secure, as long as everyone actually knows to do that!! I opened up the pot, and removing the lid, found a foil seal also - so this product can remain in the fridge sealed for quite a while. The ingredients list is really good - making sure to tell you everything in it - and it was nice to see the fruit as the major ingredient. It is reasonably high in sugar, but then, you want the sweet to compliment the cheese. I was a bit peckish when my review box arrived so got out some oat crackers, my camembert cheese and this. I chose to spoon a little onto the top of each cheese and cracker, but you could just as easily spread it underneath the cheese. I liked the look of the fruit paste on top to be honest, so that is my personal display choice! Tasting it, wow - it was really nice!! 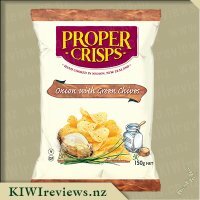 You can absolutely taste both the pear and the feijoa in it, and it has the same texture as well. 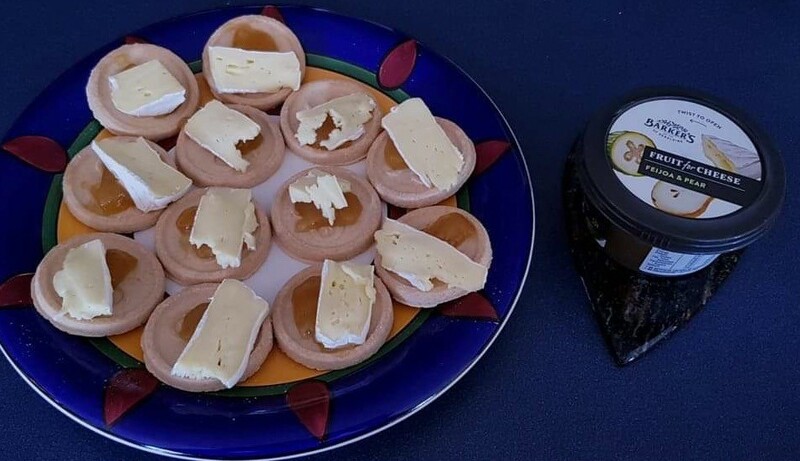 Whilst being sweet - together with the cheese it does not taste too sweet - it is a great combination that I will be honest - had never though of feijoa with cheese! I took this to my daughters birthday party also - and everyone liked it, and said it went well with the creamy cheeses as suggested. I think this could be used in the place of jam, however - if you choose that however, it becomes a very expensive jam! All in all - really really nice - and definitely full of flavour. I would class this as a treat, as it is a on the pricier side. 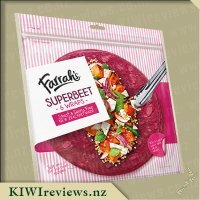 In saying that, I think it is worth it, as it is a quality, well made fruit paste, with potential to use it for other things too. I am a big feijoa fan, from harvesting the trees where ever we lived and gorging myself on them as a child to enjoying the range of feijoa fruit juices available, feijoa sorbet and of course, lollies soI knew I needed to try this fruit for cheese. My eight year old wanted to get right into it but she was unable to open it on her own so it came to me but even I struggled with opening it up, the bonus of that though is that once closed again the lid won&apos;t pop off in your fridge or if it hits the ground. 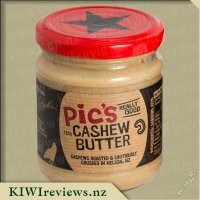 Trying it out, you could tell that it has real feijoa in it as it has the same slight grittiness to it that the fruit does which helped to make this feel like an authentic product. I&apos;ve tried this a couple of times on its own and I could easily tell that it has pear and feijoas in it, however, for the first time for me, this combo just didn&apos;t work quite well and I found it left me feeling a bit ick. I didn&apos;t let this stop me though and tried it out with a wide range of cheeses but was unable to find one that I thought it paired well with (having tried it with the suggested cheeses and others we had). 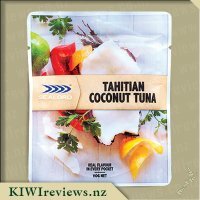 My nine and eight year olds both enjoyed it and my mother said it had a really nice feijoa taste and found the pear was a nice accompliment to the feijoa. I wouldn&apos;t buy this for myself, but when three out of five enjoy it, this could well end up in our fridge again. 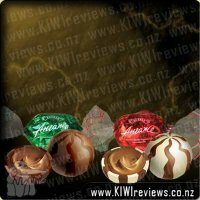 A good place for me to start this review is to say we are feijoa addicts, especially my 7 year old son. having feijoa trees at home, feijoa season is never long enough and can often eat too many so as not to waste them. One of my favourite ways to use feijoas is in a feijoa and pear or feijoa and apple crumble, both are delicious served as a desert and the flavours go so well together. While both fruits are sweet they have different tastes and balance each other very well. 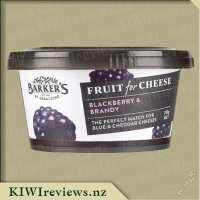 I had never thought of using either of these fruits with cheese although I regular have fruit or even jam with cheese. 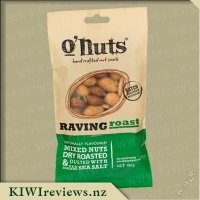 Now I have I can personally say I think it is a wonderful new way for me to enjoy them and I will certainly buy this again especially when feijoa season is over and i&apos;m craving that taste. 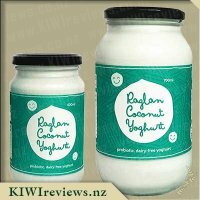 It was suggested to use this with cream cheese which I love so I was keen to use it with this however my 7 year old misheard when I read the container out loud and thought I said icecream so had to have it with icecream. He was very happy with his suggestion and would easily of eaten the whole container this way if I hadn&apos;t of stepped in to get at least some of it with cheese. Having this on a mini plain blini with some cream cheese I could see the definite appeal to eat it with cheese so also had it with cream cheese on crackers in the same way. One of my favourite pizza toppings is chicken, cream cheese, and apricot or cranberry sauce so I thought why not try it on pizza and I didn&apos;t find it too bad at all while quiet sweet and with that definite feijoa taste I thought it worked just as well in savoury dishes as a cranberry or an apricot sauce. I was staying with a family who have their own feijoa and pear trees, so they were very keen to try this variety. 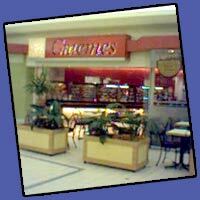 They sometimes include pears in dishes like Waldorf salad, but had not thought of combining it with cheese. As for feijoas, they have quite a strong flavour on their own and they have long been made into jam and included in fruit salads. And, of course, both fruit are eaten raw in season. Everyone thought having the two together was an interesting combination, and when I brought out the brie I had purchased to accompany it, they could not wait to get started. Reactions ranged from "Interesting!" (from one of the children) to "Wow, where can I buy this?" from her father. Everyone liked it, and were fascinated to see that I had chosen to serve it on Girl Guide biscuits. These biscuits are delicious served with cheese rather than just dunked in a hot drink, and the texture was perfect to offset the softness of the cheese and the full flavour of the product. Opinions as to the balance of ingredients was varied; some thought the pear taste overwhelmed the feijoa, while others thought the opposite. I could certainly taste both, and noticed particularly that the slightly gritty texture of the pears was apparent. We also tried some with a slice of pumpernickel, spread with a scraping of cream cheese instead of butter, and then with a small amount of the fruit added on top. I really liked it served this way and would have had another slice but we had managed to finish the whole jar. The pumpernickel has a rich malty flavour which complements the fruit beautifully. However, this combination would be best made fresh and eaten immediately as I can imagine the topping would slide off otherwise; pumpernickel is not porous like bread. 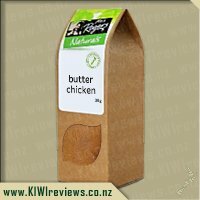 I would use this product sparingly if I were just serving it in place of a jam because it is very sweet indeed - it needs something to counteract that sweetness or it could become too much for some. I don&apos;t like a lot of sweet food so combining it with other ingredients tones this aspect down somewhat. There is not a lot of added sugar - most of the sweetness comes from the natural fruit - and there are no artificial ingredients added to boost the flavour. Pricewise it is competitive; I saw it in their local supermarket featured as an "opening special" so I might get another pot to try other possibilities for it. I think it might be quite nice on a sponge cake with unsweetened whipped cream; it would provide flavour interest and I can see it going down well with the family. So that will be my next experiment!